The Rolex chronograph is still today the dream of many watch collectors all around the world, even if it was launched on 1963. The name is ambitious: Cosmograph Daytona. The chronograph word changes in order to exalt its precision, evoking the myth of space mission, and to recall the historical 24 Hours of Daytona challenge, at that age sponsored by Rolex. Rolex Daytona was introduced in two references: the ref. 6239, with metal bezel, with an engraved tachometric scale, and the ref. 6241, with black bezel and printed white tachometric scale. Both of them were available in gold, 14kt or 18kt, or in stainless steel. The tachometric scale was initially set to 300 kilometers per hour, and after reduced to 200. The dial was built on the contrast among black counters and silver background, or vice-versa. The Daytona naming on the dial was initially exclusive for the American market, but was soon extended to the whole production. The watch was equipped with a manual wound Valjoux caliber, named 72B, that Rolex called 722-1 and 722. It will be hard for you to imagine that… it was not easy at all for Rolex dealer to sell this chronographs before the 1969, when it was taken off the market! On 1965 a new reference was introduced: new screw-down crown and chronograph pushers appeared in order to protect the case from water infiltrations. This ref. 6240 was still equipped with the Valjoux caliber 722 and enriched with the “Oyster” name on the dial. This model was not a success as well: in its four years of availability in the market it only collected negative feedbacks due to its case size and pushers discomfort. Between the 70s and the 80s many versions of the Daytona were produced. Those versions featured the 727 caliber, always a Valjoux manually wound movement, a deeper waterproof case (from 50 to 100 meters below the sea), still the pump pushers. The gold models also have the Cronometer certification, written at 12 o’clock, not common for chronographs at that age. Precious details appears on the watches: diamonds on dial and bezel, and sapphires as indexes creates the rare 6270 and 6269 references. The Daytona name, a red write on the dial, became the symbol of the watch, even though it was not on the dial of the very first “cosmographs” produced. The dial was the element on which the “Paul Newman” watch myth was born. Its main feature is the two-tones graphic of its dial: the back of the graduated scale has the same color of the subdials, which contrasts with the back color, and is realized on two levels, creating a stair toward the central part of the dial. Subdials are different from the traditional ones because of a concentric circles engraving, of the graphics of the numbers, with a sort of art-déco font, and of the usage of small applied squares as indexes. Those features are the same for all the many “Paul Newman” dial colors. Why are this dial called Paul Newman? It is because it seems that the actor wore a Daytona during his movie “Winning”: it is likely that he wore a Rolex, but is hard to be sure it was a Daytona. Anycase, the actor was seen wearing this watch many times on the car circuits, both with the traditional dial and the two-tones one. The “Paul Newman” name was born in the Italian watch collectors community, as it often happened, but is now a common reference for those watches. But the Daytona was not a legend yet.. it had to arrive the new automatic version of the Rolex chronograph to give birth to the manual winding Daytona myth. 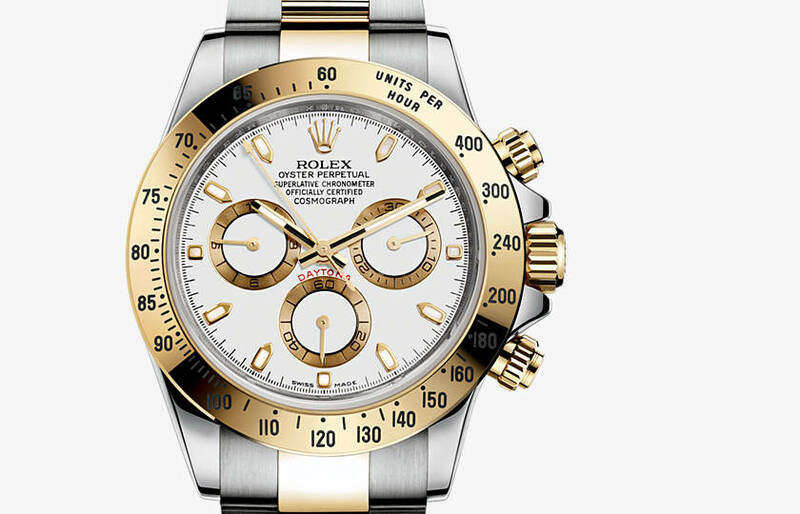 It was 1988 when the Rolex Daytona radically changed, becoming the reference 16520. The brand opted for a quality, commercially available chronograph movement, the caliber 400 El Primero from Zenith, which it then significantly modified to meet its own requirements, adding more than 200 changes, that means replacing more than 50 per cent of the components with parts specifically designed for Rolex Daytona movements and changing the watch beat from 36.000 vibrations per hour to 28.800 vph. The resulting new calibre 4030 included, among other features, a Rolex “heart” – an oscillator with a variable inertia balance wheel, Microstella regulating nuts and a hairspring with a Breguet overcoil – as well as a self‑winding module with a Perpetual rotor invented by the brand in 1931. The movement was systematically submitted for official certification to receive the designation of chronometer, attesting to its precision. 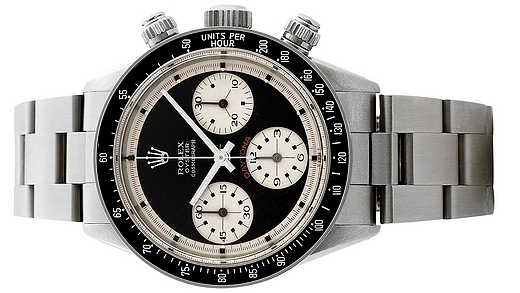 All versions of the new model featured the phrase “Superlative Chronometer Officially Certified” on their dial as well as “Oyster Perpetual Cosmograph Daytona”. The dial was available only in two options (white with black details and black with white details) and featured the Daytona name in red. 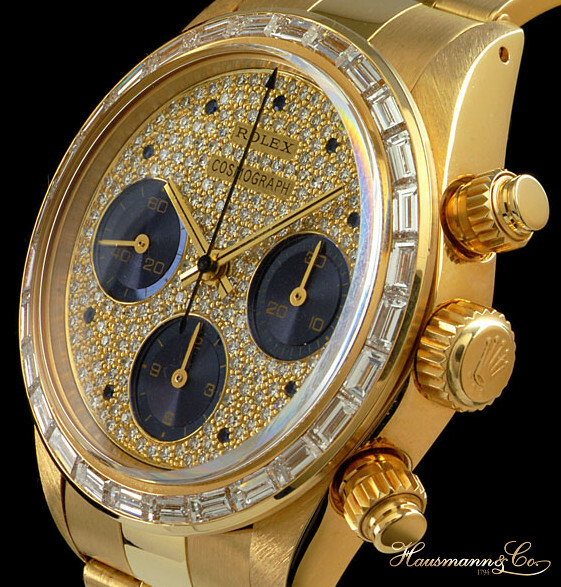 The Daytona from 1988 came in stainless stell, two-tones and full 18 kt gold. This model production ended on 2000, when the current reference 116520 was introduced. The Daytona 116520 is equipped with the caliber 4131, the first chronographic caliber made within Rolex manufacture. Its modern blue hairspring Parachrom with Breguet overcoil beats at 28.800 vph. Aesthetical changes are not easy to notice at a first glance: there is a new disposal of pushers and crown, a new symmetry on the subdials, two of them higher than the center of the dial, shorter and thicker indexes, an inner rehaut with engraved the serial number of the watch together with the Rolex logo, Oyster bracelet with polished central links, an enhanced Oysterclasp and the Easylink system for an easier adjustment of the bracelet. Also the stainless steel alloy is new: the 904L was developed together with TyssenKrupp: it is ultrainoxidable and includes a 4% of the expensive molybdenum. Together with the stainless steel ref. 116520, only available with black or white dial, the Daytona also comes in the Rolesor two-tones combination of gold and stainless steel, and in many precious metal variations, combined with different dials and even with strap. 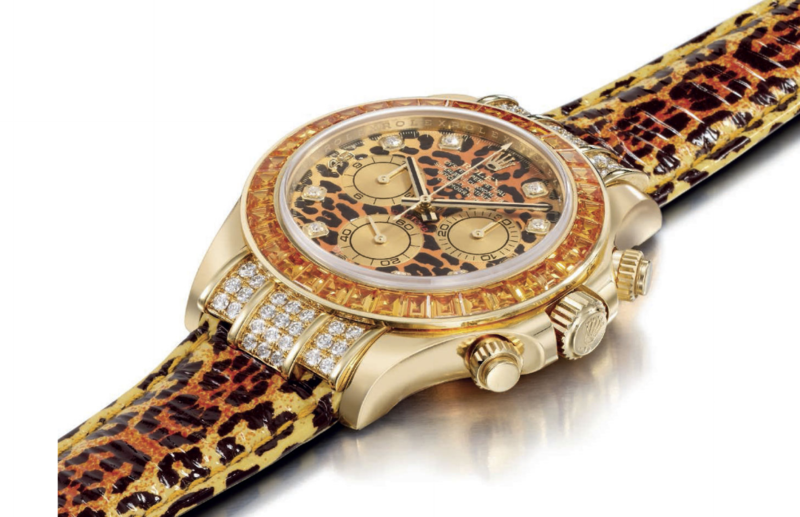 Some Special Editions were also launched with a very good success, such as the Daytona Leopard, with a yellow gold case with a diamonds settings and a cognac sapphires bezel around a spotted dial that, together with the spotted strap, recalls a Leopard fur. It was a success also the mini-collection in white gold called “Daytona Beach”: a colored strap was combined with colored dials made of turquoise, yellow mother of pearl, pink mother of pearl and green chrysoprase. Il Rolex Daytona “Leopard”, ref. 116598SACO, con lunetta in zaffiri cognac, diamanti sulla cassa in oro giallo, quadrante leopardato abbinato al cinturino. Among the aesthetical variations Rolex made on this model, the bezel is one of the favorite elements to play with. Precious in the Daytona Rainbow, with a sapphire multicolor shade recreating the Rainbow colors. Made of ceramic in the Daytona 116515, appreciated because of the contrast between the pink Everose gold of the case, the black of the Cerachrom bezel and the warm colors of the dial, ivory or chocolate. From 2013 the ceramic bezel is applied also to the first platinum Daytona, with the reference number 116506. The platinum comes in order to celebrate an important jubilee: the 50th anniversary from the introduction of the first Daytona, back at the beginning of our history. It is also the first time for an Oyster bracelet in platinum, never made before at Rolex, where the platinum was only used on President bracelets. The unusual, but very elegant, hazelnut color of the bezel exalts the ice blue color of the dial, the typical color for platinum at Rolex. On 2014, the platinum Daytona was enriched of a version with a diamond bezel, available also with precious dials. 2015 was a year without innovation on the Daytona family…. could this be because of bigger changes coming on the next years?